Don't you hate waiting in long lines? Google knows how you feel. 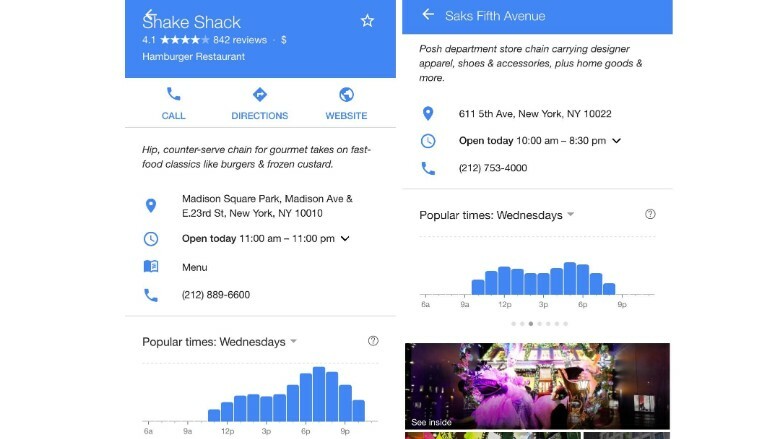 On Tuesday, Google Maps unveiled a feature that will allow you to see a business' "Popular times" for each day of the week. They already have all that location data, so why not put it to use? Based on recent historical visits, Google (GOOGL) will indicate the busiest times to hit up the gym, go shopping or grab a coffee. When you search for a place and click on more options, the location card will reveal this information below the address, business hours and phone number. You can use the drop down menu to scope out the busiest times on different days of the week to plan ahead. The tech giant says it's helping people avoid lines and avoid rush hours. But what about businesses that want all that traffic? They probably don't want people to not show up because they anticipate long lines before even getting there. Then again, it could help even out demand, encouraging customers to come earlier or later than they normally would.